Who doesn't love kufli, right? You wouldn't be reading this if you didn't! There are quite a few places serving kulfi, but what's different about this place is the kind of flavours that they have. Gulkand, Oreo, caramel, spicy guava, just to name a few. We really loved the spicy guava kulfi. It tasted like you were having a real guava, and the best part was that it also had some chilli powder on it, just like we have guava in India. It may sound a little weird, but have a bit, and you won't stop at one. The next one was gulkand. It had a nice rose flavour to it, and was also pretty good. The flavour of this one isn't as prominent as the guava kulfi, but if you like rose, it is certainly worth a try. Another very interesting flavour that I really liked was the blueberry. It isn't overly sweet, but just right and that's what made me like it even more. A blueberry flavour for a kulfi was unthinkable for me...until I had it here. Missing the desi Gujarati street food? Here's a place that will satisfy your cravings. 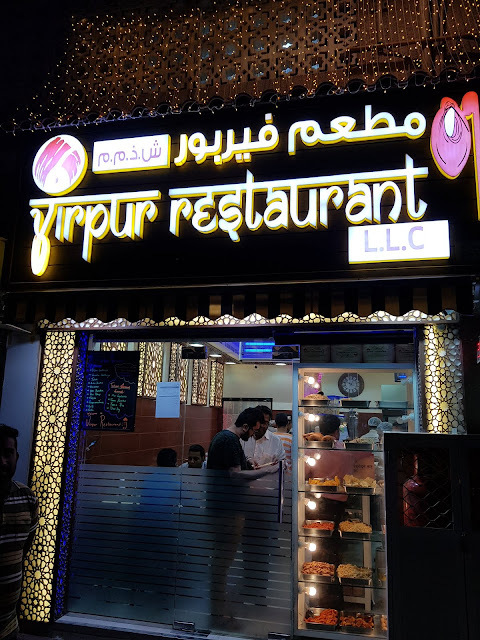 It shares its name with the town that it comes from - Virpur. It has started very recently and they invited me for some lovely street-food. The all time favourite gujju thing to munch on is the fafda and gathiya. They make these fresh here, and when you have it with the various pickles and chutneys, you are sure to miss home. Then we had the chips sandwich. The chips refer to the french fries just the way people know it back home. It is available in an open version and as a roll too. I really liked both of these. You can ask them to have it made extra spicy if you like. If you're a fan of cheese (who isn't? ), then the cheese garlic pav is something that might interest you. The ample amount of cheese in this garlicy bread is what keeps you going at it. 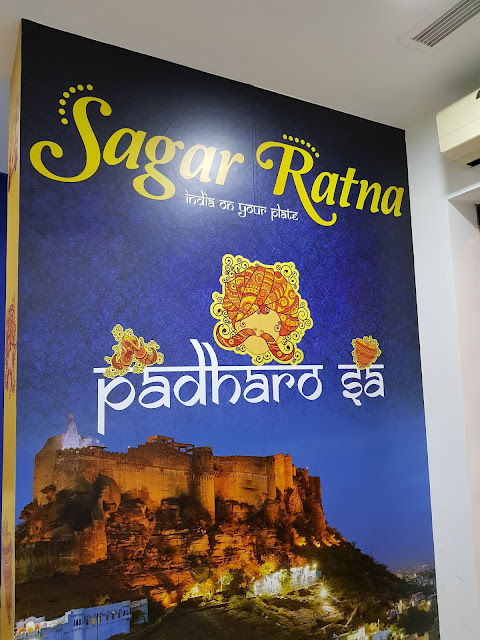 If you're looking for a vegetarian restaurant that serves Rajasthani cuisine, you are looking at one of the best options. 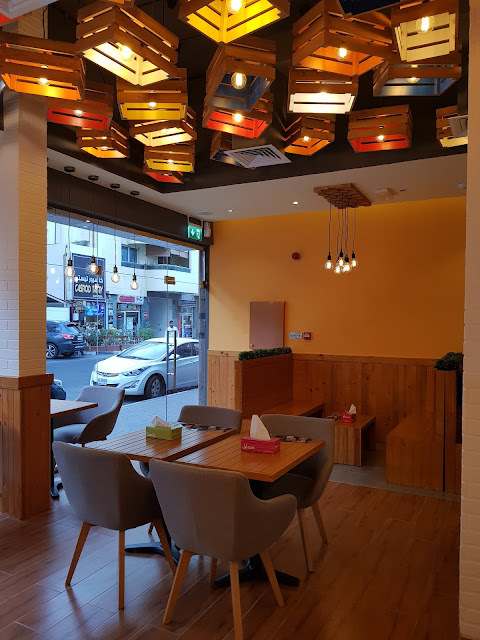 This restaurant has two outlets - Oud Metha and JLT - and they invited me to try out their food. Don't let the name mislead you into thinking that it is a restaurant serving some other Indian cuisine. It is an authentic Rajasthani restaurant; the owner, the chef, and the management too are from Jodhpur. The good thing about this restaurant is that they serve much more than the cliched dishes like dal baati (they have that too, but much more). They have dishes which have a Rajasthani flavour to it, and these might even be kebabs or mains. They also have jain options available. The first thing we had was a refreshing lassi. It is the makhaniya lassi, i.e. with makhhan (clarified butter); it is not overly sweet, so it feels really nice to have. 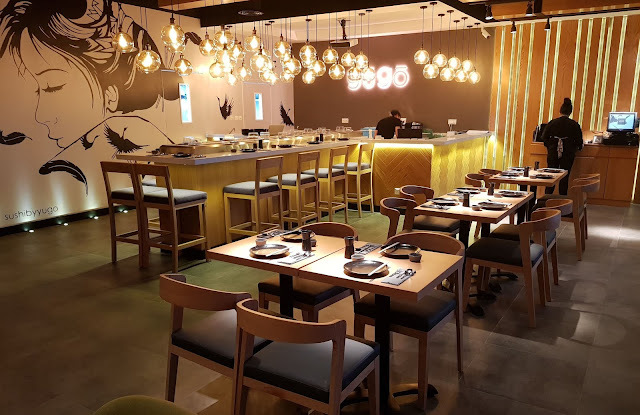 There are so many sushi places coming up lately, but what makes this different is that it is a Yugo concept. Yugo in Japanese means Fusion. The food is Japanese and tastes so too, but they've tweaked it a bit, and I was glad to be invited to try it out. The first item we had was the Yellowtail usuzukuri. Usuzukuri refers to thinly sliced, and the yellowtail was so thinly slice that it was transparent just the way the Japanese do it. It has a slice of jalapeno on top which gives a hint of spice to it. This is made using their zesty in-house sauce and they can do it since it is a Yugo concept. We totally loved this and is certainly worth a try. Then we had the Salmon Avocado usuzukuri which apparently is one of their hot sellers. Now I'm not all that big a fan of avocado, though I like salmon. This was good, and this too was in their secret sauce. The way it was presented, it looked fantastic. We liked it just a little bit I would say.